Learn how to plan and implement a data centre audit. Including the audit process and analysis of the audit data to verify the status of the data centre and make detailed and structured recommendations to establish an action plan to ultimately improve the operational capability to support the business needs. The demand for a data centre to run at its optimum capability in both an effective and efficient manner is now an essential requirement for a business. 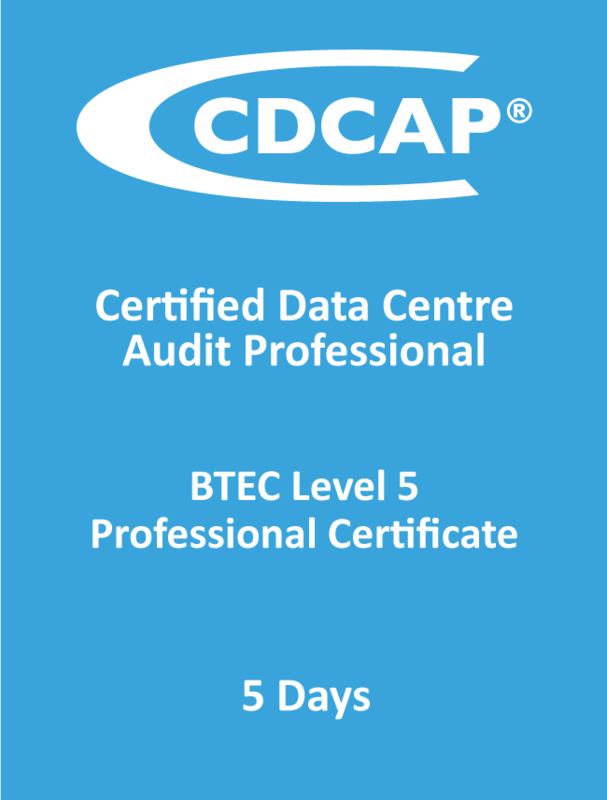 This five day program has been designed to provide data centre professionals with the skills, knowledge, qualification and certification to plan, implement and action a comprehensive audit of the data centre environments. Learners will gain an in-depth understanding on acquiring detailed and accurate information concerning the operational capability of the data centre facility. The program considers the potential areas of risk and recommendations regarding how to improve the availability, resilience and efficiency of a data centre including the physical infrastructure (IT, power, cooling), building’s facility structure, asset management, documentation, processes and procedures. Whilst appreciating the need to measure, monitor and collate data to evaluate and analyse the operational effectiveness of a data centre. Undertaking the CDCAP® program provides learners with current industry expertise and best practices to allow them to strategically plan and implement systems and procedures to undertake and manage the audit process. This program is a must and recommended for all Data Centre Management (Operations, Facilities, IT & Network) structures and the key supporting engineering and operational teams. The CDCAP® also takes into account the requirements of the current BS EN 50600 and TIA 942-B standards, industry best practice documentation and codes of conduct. During the program learners will also have access to current standards for reference purposes. This program is for data centre professionals with the technical experience within the varying mission critical environments of a data centre wishing to extend their knowledge, skills and certifications in this highly specialised area. 5 day class requiring study reading of approximately 20 hours. This program requires learners to have a sound technical experience within the applicable environments of a mission critical data centre facility. Masters in Data Centre Leadership and Management – This degree program is suited to leaders and senior managers working in data centre facilities. Certified Data Centre Energy Professional (CDCEP®) – ideal for managers to gain a greater understanding of the energy efficiency and how to implement an energy efficiency plan.